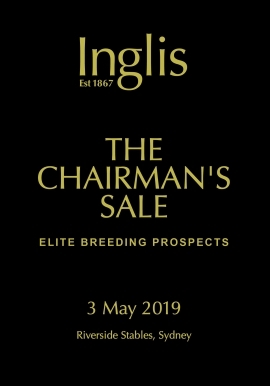 The Inglis Chairman’s Sale catalogue has been finalised, with seven quality wildcard entries joining the world-class collection of broodmares to be offered. 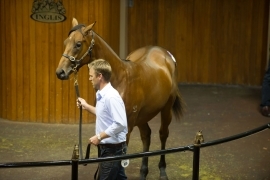 All is in readiness for Sunday’s Melbourne Gold Yearling Sale, for which inspections begin tomorrow. 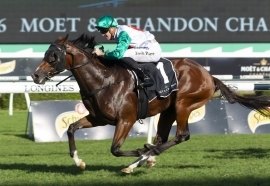 The inaugural Inglis Millennium winner gave trainer Richard Litt his first G1 success and Arrowfield stallion Dundeel his debut Australian G1 victory as Castelvecchio dominated his rivals in the Champagne Stakes at Randwick. 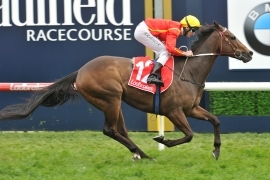 Fast Fleet – the dam of champion sprinter Santa Ana Lane – is the latest profile Wildcard entry confirmed for The Chairman’s Sale. Ken she do it? Yes Kenedna can! 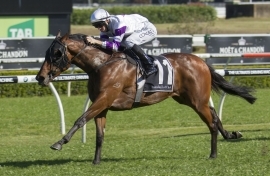 Kenenda capped off a big week for her sire Not A Single Doubt and became the 11th individual Inglis graduate to win a G1 this year when successful in today’s Coolmore Legacy Stakes at Randwick. 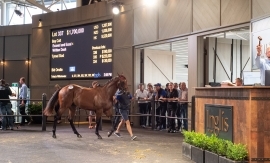 The Australian Easter Yearling Sale further cemented itself as the southern hemisphere’s premier equine auction with a stunning two days of trade at Riverside. 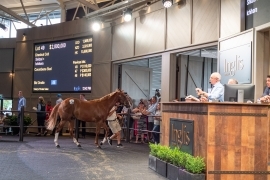 The best yearling James Harron has ever seen became the fifth-most expensive yearling ever sold in Australia on a record-breaking Day 1 of the Australian Easter Yearling Sale. 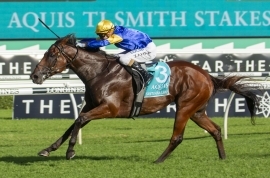 Inglis is calling for official expressions of interest from connections of potential runners to fill its slot in this year’s $14m The Everest. He’s conquered the best in Australia and now champion sprinter Santa Ana Lane is off to conquer the world. The dam of one of this season’s star 2YOs – in foal to I Am Invincible - and a blueblood race filly are among the latest Wildcard entries confirmed for The Chairman’s Sale. 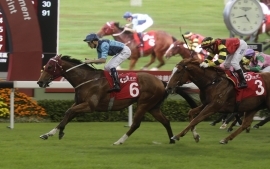 Australian bred sprinters Not Listenin'tome and Lucky Bubbles filled the quinella in the Group II Bochk Wealth Mgmt Jockey Club Sprint at Sha Tin on Sunday, the race also featuring the return of the great HK Champion Able Friend. 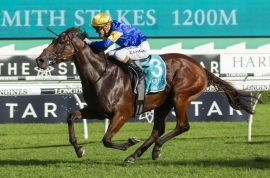 The 16th foal of the stakes-winning Bletchingly mare Tennessee Morn, 5-year-old Magnus gelding Malaguerra added a second Group 1 to his CV when holding off rising sprint star Spieth in Saturday's $1million Darley Classic (1200m) at Flemington. 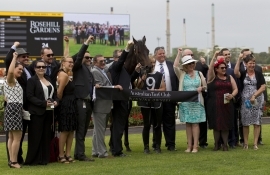 A $75,000 Inglis Premier purchase from the draft of Torryburn Stud, talented six year-old Rock of Gibraltar (IRE) mare Jessy Belle has taken her own good time to win her first Black Type event, but did it in style at Flemington on Saturday with a sweet victory in the Group II VRC Matriarch Stakes. 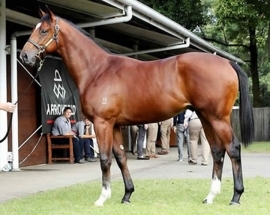 A $200,000 Inglis Easter purchase from the Newgate Farm draft for David Ellis, the well-related two year-old Stratum colt Summer Monsoon delivered the right result when he proved too slick for his rivals at Te Rapa. It was appropriate in the week the state's imminent greyhound ban was reversed, Garry Frazer won at Randwick. 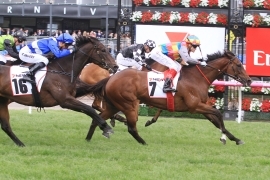 Voodoo Lad atoned for his narrow defeat in the Group 1 Sir Rupert Clarke by winning Saturday’s $150,000 Group 3 Ladbrokes Moonga Stakes (1400m) at Caulfield. 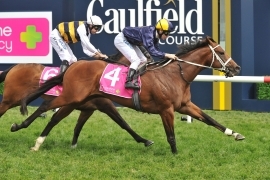 Encosta De Lago’s classy Group One winner Vanbrugh gave his future stud career a boost with his win in the G3 Coongy Cup at Caulfield on Saturday. 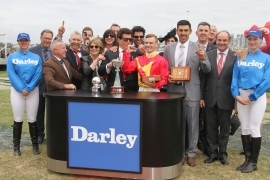 A broodmare career beckoned for the Testa Rossa mare Cavaloce following her unplaced effort in the Listed Balaklava Cup on August 31 however the lure of a stakes win kept her in training for the Listed Durbridge Stakes (1200m) at Morphettville on Saturday. 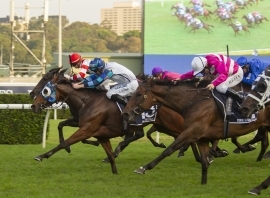 Inglis has welcomed Racing NSW’s increased prizemoney announcement, which will see owners enjoy greater reward in all races state-wide.